Physics-based models have proved to be effective in modeling how people move in, and interact with, their environment. Such dynamical models are prevalent in computer graphics and robotics, where they allow physically plausible animation and/or simulation of humanoid motion. Similar models have also proved useful in biomechanics, allowing clinically meaningful analysis of human motion in terms of muscle and ground reaction forces. In computer vision the use of such models (e.g., as priors for video-based human pose tracking) has been limited. Rather, most prior models in vision, to date, take the form of kinematic priors that can effectively be learned from motion capture data, but are inherently unable to explicitly account for physical plausibility of recovered motions (e.g., consistency with gravity, ground interactions, inertia, etc.). As a result many current methods suffer from visually unpleasant artifacts, (e.g., out of plane rotations, foot skate, etc. ), especially when one is limited to monocular observations. Recently, physics-based prior models have been successfully illustrated to address some of these issues (see references below). We posit that physics-based prior models are among the next important steps in developing more robust methods to track human motion over time. That said, the models involved are conceptually challenging and carry a high overhead for those unfamiliar with Newtonian mechanics; furthermore good references that address practical issues of importance (particularly as they apply to vision problems) are scarce. This tutorial will cover the motivation for the use of physics-based models for tracking of articulated objects (e.g., people), as well as the formalism required for someone unfamiliar with these models to easily get started. We will provide the slides, notes, and Matlab code that will allow a capable novice to proceed along this innovative research path. M.A. Brubaker, L. Sigal and D.J.Fleet. Estimating Contact Dynamics. ICCV 2009. M.A. Brubaker and D.J. Fleet. The Kneed Walker for human pose tracking. CVPR 2008. M. Vondrak, L. Sigal and O.C. Jenkins. Physical simulation for probabilistic motion tracking. CVPR 2008. M.A. Brubaker, D.J. Fleet and A. Hertzmann. Physics-based person tracking using simplified lower-body dynamics. CVPR 2007. Marcus A. Brubaker is a Ph.D. student in the Department of Computer Science at the University of Toronto where he received his Hon.B.Sc (2004) and M.Sc (2006). Supervised by David Fleet, he works on human motion estimation using physically realistic models of motion. He has also worked on problems in protein structure estimation, Bayesian inference and Markov Chain Monte Carlo. Research interests beyond the areas noted include physics-based animation, humanoid robotics and machine learning. 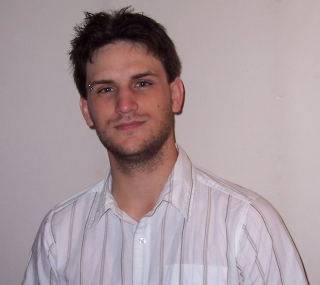 Leonid Sigal is a postdoctoral research associate at Disney Research Pittsburgh, in conjunction with Carnegie Mellon University; before that he was a postdoctoral fellow in the Department of Computer Science at University of Toronto. He completed his Ph.D. under the supervision of Michael J. Black at Brown University; he received his B.Sc. degrees in Computer Science and Mathematics from Boston University (1999), his M.A. from Boston University (1999), and his M.S. from Brown University (2003). From 1999 to 2001, he worked as a senior vision engineer at Cognex Corporation, where he developed industrial vision applications for pattern analysis and verification. In 2002, he spent a semester as a research intern at Siemens Corporate Research (SCR) working with Dorin Comaniciu on autonomous obstacle detection and avoidance for vehicle navigation. During the summers of 2005 and 2006, he worked as a research intern at Intel Applications Research Lab (ARL) on human pose estimation and tracking. His work received the Best Paper Award at the Articulate Motion and Deformable Objects Conference in 2006 (with Michael J. Black). David J. Fleet is professor of computer science at the University of Toronto. He received the PhD in Computer Science from the University of Toronto in 1991. He held a faculty position at Queen's University in Kingston (1991-1998), and managed the Digital Video Analysis Group and the Perceptual Document Analysis Group at Xerox PARC (1999-2003). He then returned to the University of Toronto in 2004. His research interests include computer vision, machine learning, image processing, visual perception, and visual neuroscience. He has published research articles and one book on a wide variety of topics, including the estimation of optical flow and stereoscopic disparity, probabilistic methods in motion analysis, visual tracking, 3D human pose tracking, and appearance modeling in image sequences. In 1996 he was awarded an Alfred P. Sloan Research Fellowship. 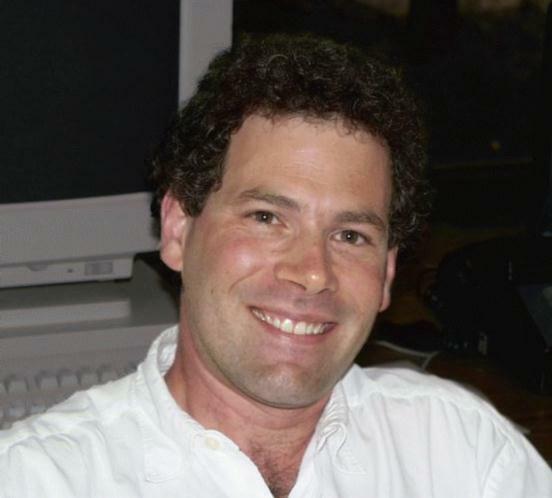 His paper awards include Honorable Mention for the Marr Prize at the ICCV 1999 (with M. Black), runner-up for best paper at CVPR 2001 (with A. Jepson and T. El-Maraghi), and best paper at ACM UIST '03 (with E. Saund, J. Mahoney and D. Larner). He was Associate Editor of IEEE Trans PAMI (2000-2004), Program Co-Chair for CVPR 2003, and Associate Editor-In-Chief for IEEE Trans PAMI (2005-2008). He is Fellow of the Canadian Institute of Advanced Research.